Daniel and Margaret are playing with their toy whale and fish. When they look in the aquarium at their real fish, Daniel make-believes that he is swimming with his fish friends. After make-believing, Daniel looks at each of his fish and notices that his favorite one -- the blue fish -- is not moving. Dad Tiger confirms that Blue Fish has died and encourages Daniel to ask any questions he may have. Daniel is comforted by his dad as Dad Tiger explains that when something dies, it is no longer breathing or moving. Daniel is sad and goes to the couch where Mom Tiger encourages him to draw a picture of what is making him sad. After Daniel draws a picture of Blue Fish, he becomes angry when Margaret takes it away. With his picture returned and a hug from his sister, Daniel feels better and offers to play hide and seek with Margaret. Daniel shows the picture of Blue Fish to the other fish in the aquarium and hangs it on the wall nearby for them to see. He places a blue rock in the aquarium in remembrance of Blue Fish. "Ask questions about what happened. It might help." The live action segment following this episode includes a boy visiting an aquarium with his dad. 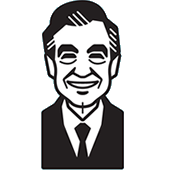 Sometimes People Feel Sad is loosely based on Mister Rogers' song Sometimes People Are Good. Margaret's toy fish looks very similar to the fish included in the Daniel's Bathtub Voyage playset. This episode originally aired along with Episode 1101 of Mister Rogers' Neighborhood -- a pairing made in celebration of the 50th anniversary of Mister Rogers' Neighborhood. The storyline from this episode is featured in the book Remembering Blue Fish.